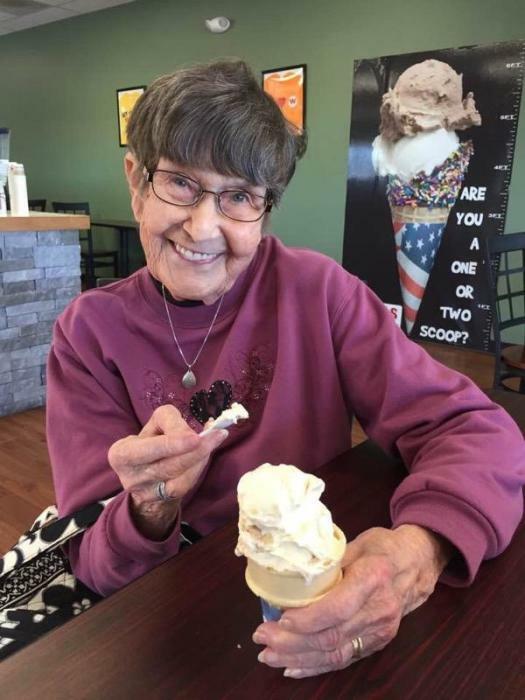 Norma Spitzer ,age 83 of Millersport, died April 10, 2019 at Fairfield Medical Center. She was born on Dec. 12 1935 in New Boston, OH to the late Leck and Bessie Tackett Blanton. She is a member of the Millersport United Methodist Church. Norma enjoyed bingo, music, and the movies. She loved spending time with her family and will be greatly missed by all. She is survived by her children, Shari (Sean) Music, Lisa (Will) Indest, Becky (Greg) Selvage, and Curt (Vickie) Spitzer; grandchildren, Joe (Jan) Spitzer, Kari Spitzer, Lee (Shannon) Myers, Malinda (Andrew) Slyh, Jack Music, Hunter Music, Logan Indest, and Bobbi Indest; several great grandchildren; sister, Ova Wells, and several nieces and nephews, including special niece, Brenda (Howard) Shope. Norma was preceded in death by her parents; husband, William J. Spitzer; and siblings, Ollie, Orville, Audrey, Chris, Junior, and Buck.